How to choose an ideal B-school? ‘The rainbow is a part of nature, and you have to be in the right place to see it’ – Gilbert Baker. Irrespective of whatever the venture is, a wise mind is always selective about where to begin it from. A similar concept applies when you are crafting a bright future in the twenty-first-century hyped-up business world. The modern-day academic sector has brought about endless options to MBA aspirants when it comes to choosing a B-school, which is certainly a massive advantage. However, these incalculable options can also leave young minds in a muddled state at the same time, if they are not sure about how to get the wheels rolling at the first place. Choosing your MBA program is a critical responsibility upon which a substantial percentage of the rest of your career graph hinges. It is crucial to understand that studying business is much more divergent than that of pursuing a degree in any other subject. Management education comparably involves more amount of practical training as compared to other subjects. B-school students cannot spend their entire course sticking in the comfort zone of academic learning, theory-based knowledge, and classroom examinations. Spontaneously tapping into corporate reality, building broad networks, socializing with new faces without hesitation, being at the peak of the industrial happenings are a few qualities that make B-school graduates different from others. So, before you simply settle for an MBA program, assess yourself if your chosen institution is capable of bestowing you with the above qualities that the current industry demands. If you are not sure, consider the following aspects prior to settling for your business school. Ever noticed how research is always the key to reach your goal? Well, it is the same when you are trying to hunt down the right B- School. Whenever you perform research, make sure that you consider the bigger picture. Spot out aspects of the course that can uniquely help you. Do that by being realistic about your profile and evaluating factors like how will the program help you. Will the program arm you with all the support, skills, insights and resources you need? When will the reputation of the institution step into the game? Whether you take ‘reputation’ into account or not, it will always play a significant part in the game. Reputation takes a long time to be built and it is a true reflection of what the world assumes about the institution. To analyze the overall reputation of the institution, you can consider factors like student services, teaching pedagogy, program quality, and for sure, the faculty. To be more precise, you can also check out the respective B-school ranking position. ‘Education is the key to success in life, and teachers make a lasting impact in the lives of their students.’ A reputed B-school always treasures experienced educators and researchers from across the nation. They have the perfect idea and skillsets to effectively impart education and training to students possessing different academic backgrounds and learning capabilities. Rather than just training from a theoretical perspective, the faculty team takes a pragmatic approach and apply the apt tricks to pace along with the curiosity and interests of each learner. # 4 – Do they encourage Peripheral skill development activities? Specialized curriculum and modules are just not adequate to prepare b-school students for the highly competitive corporate environment ahead. You have to scrutinize if the institution organizes any practical skill development program. Industrial training or practical training is highly essential for MBA aspirants. Many B schools encourage top industrial trainers these days in order to assist students to build strong connections with the real-world industry and learn from them. Therefore, when you choose your ideal B school, note if they possess adequate ‘collaborations’ with both national and international sources. This is the ultimate point where you will be required to focus on. MBA involves a substantial amount of investment of time, finance, and above all, full-fledged efforts from aspirants. Pursuing a degree and excelling the scores is undoubtedly important but in the modern business world what is more important is attaining the right amount of exposure at the right time. Nowadays institutions are trying to emphasize a lot on keeping their placement cells active and serve students with the best opportunities possible. We, the Indore Institute of Management and Research (IIMR), one of the best colleges in MP, are proud to state that we are among the very few b-schools of the nation who aptly meet each and every criterion mentioned above. 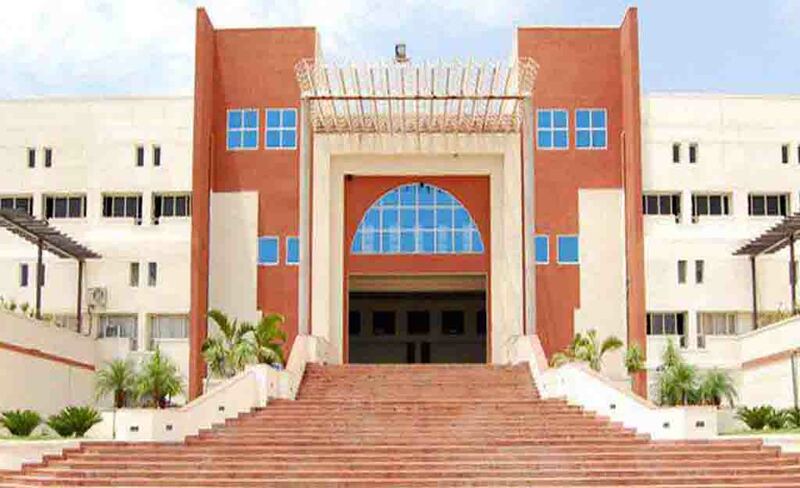 IIMR today is a name that is recognized among the top Business schools in the country and is a leading choice among the management aspirants coming from different parts of the nation. We do not only possess an active placement cell but also cater apt pre-placement training to our students to help them achieve their most distant and difficult goals. With our rich collaborations, world-class learning environment, highly experienced faculty, we are proud to be able to enlighten the path to success of countless young ambitious minds.